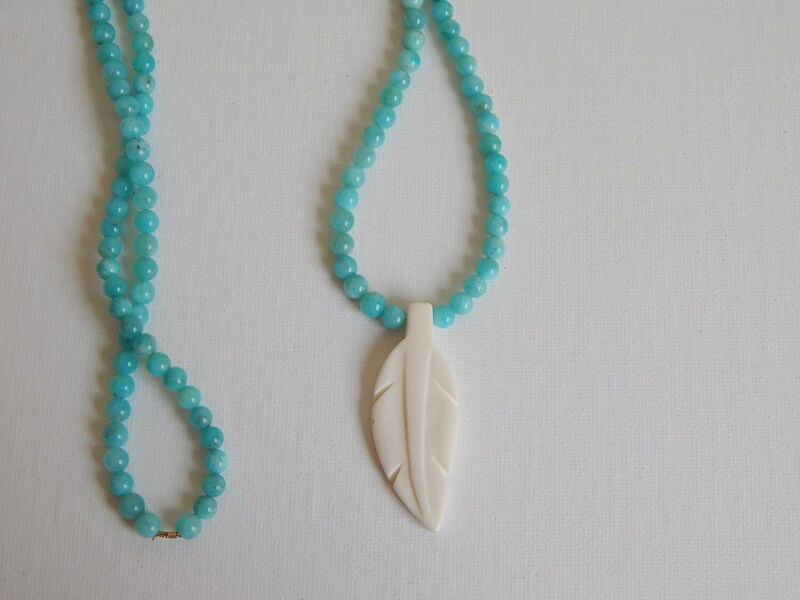 Beautiful aqua blue amazonite beads hold a cream colored bone feather pendant. 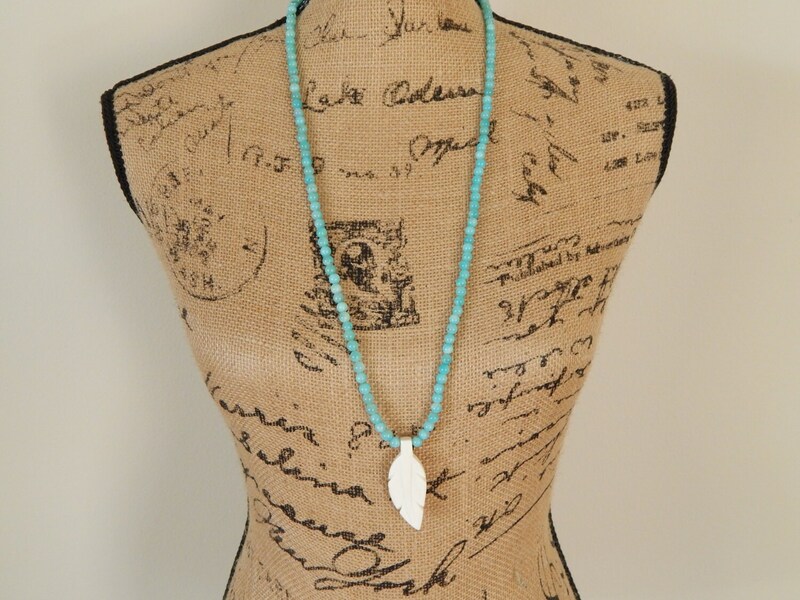 The aqua blue is perfect for summer and the neutral color will go with anything. 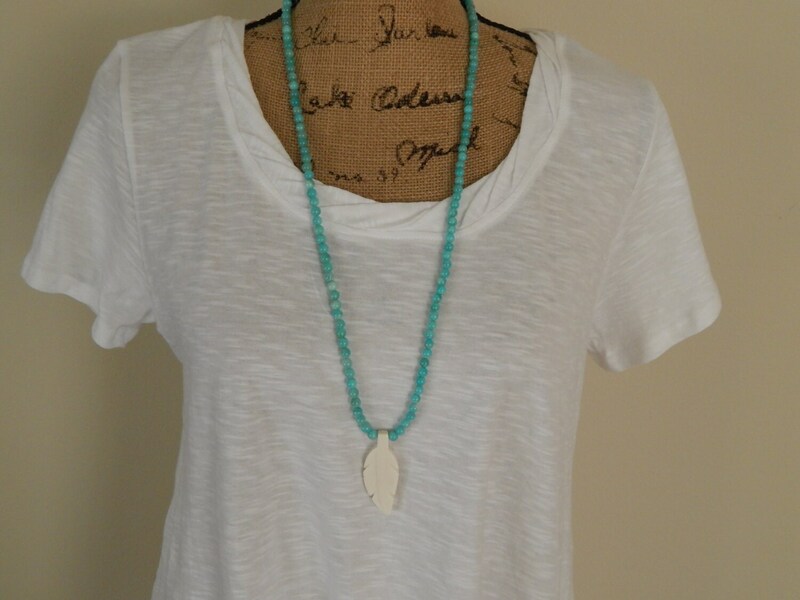 Light weight and easy to wear this can be layered with others from shop or wear alone for a boho chic look. 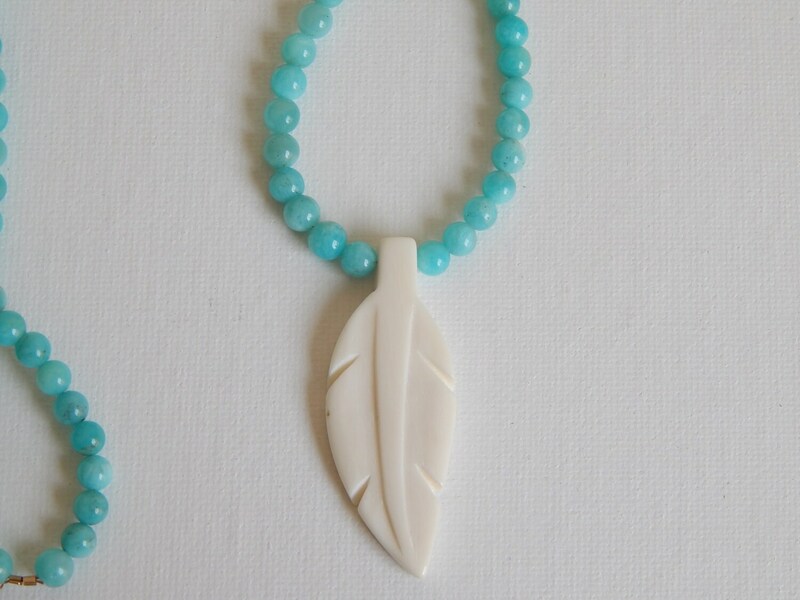 Necklace measures 30.5 inches beads are 6mm. 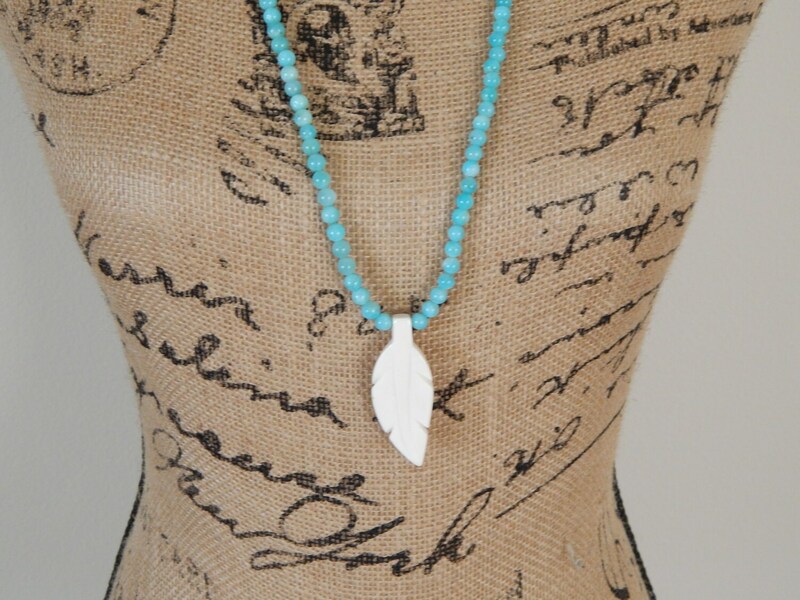 Feather is 2 inches long.